The 1875 Communication Cable from Normanville to Kangaroo Island | Marine Life Society of South Australia Inc. 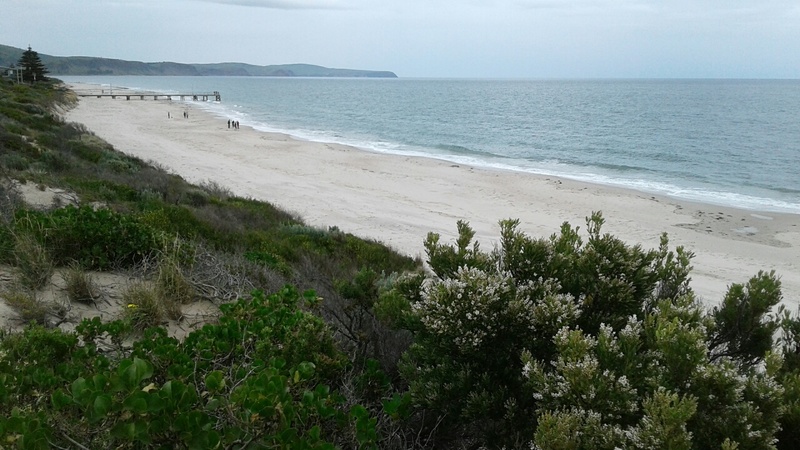 The jigsaw-shaped bit of wet sand at the water’s edge on the northern corner (far right in the image) is exactly where the communication cable from the mainland ran into the sea at Normanville. The cable ran from the Normanville Police Station and Courthouse and through the sand dunes (from the dunes outpost, a.k.a the dunes relay station). 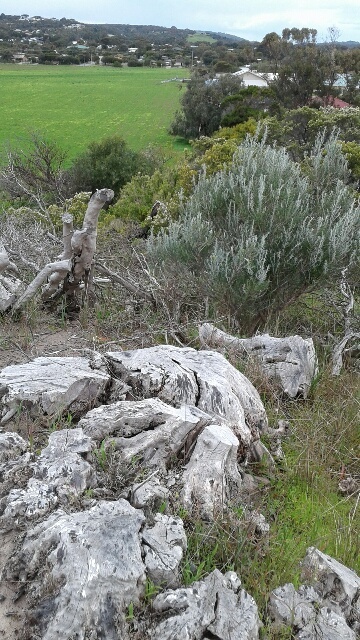 This dead olive tree stump would undoubtedly have been planted in the dunes around the time the communication cable was installed, which means that it was probably among the first olive trees planted in SA by the early settlers, and thus one of the first to spread its seeds around the area. It’s right next to what is left of a rusty galvanized iron-lined hole in the sand at the crest of the” hind dune” (secondary as opposed to primary dune, in this section of mostly binary dunes system i.e. where it’s generally easy to see that the dunes in cross-section comprise two main/ big dunes with a wide swale between them. 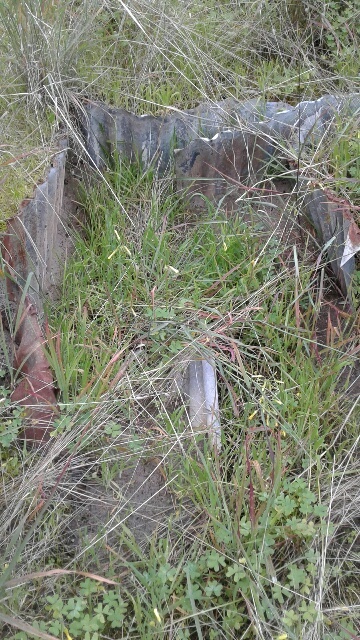 The rusty galvanized iron-lined hole could possibly be either a hut or a toilet for the men installing or operating the undersea cable to KI. Many thanks for providing us with these details, David.